Audemars Piguet Royal Oak Chronograph, dark blue mega tappiserie dial with luminous hands and hour markers octagonal bezel held in place with 8 Gold hexagon bolts. 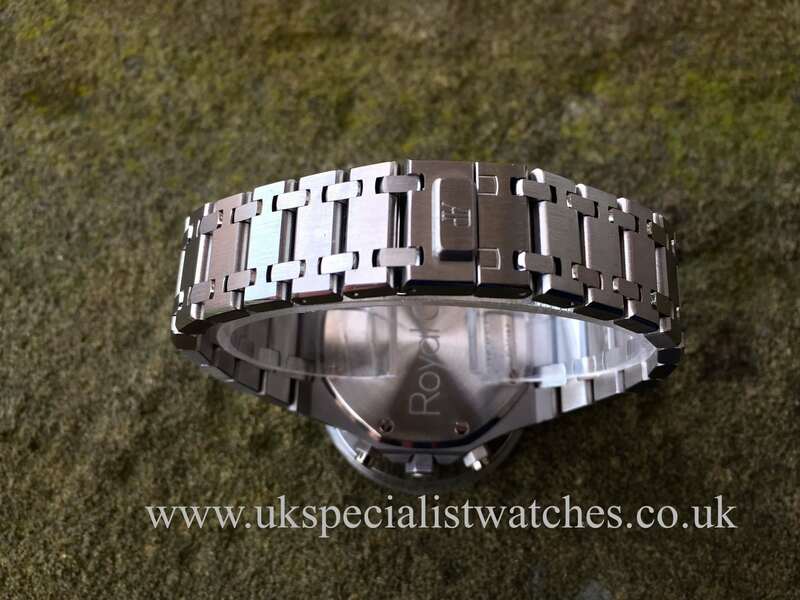 39mm brushed stainless case and polished beveled edges fitted to a brushed stainless steel bracelet, powered by a caliber 2385 chronograph movement. 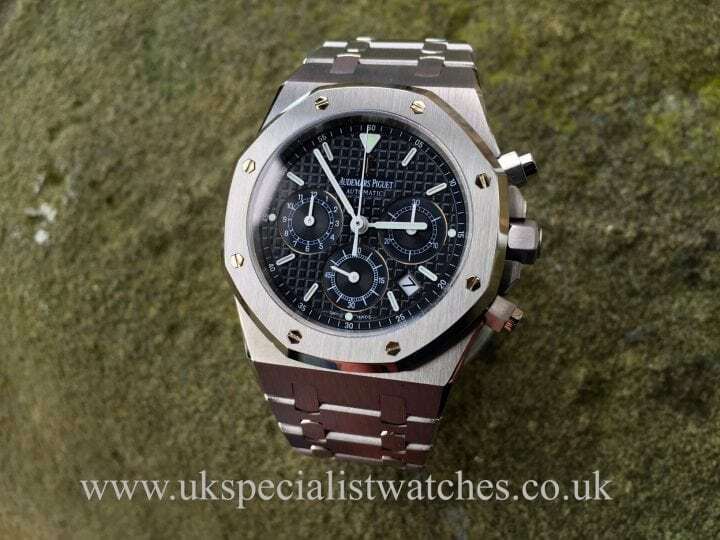 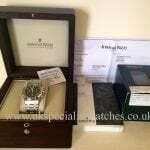 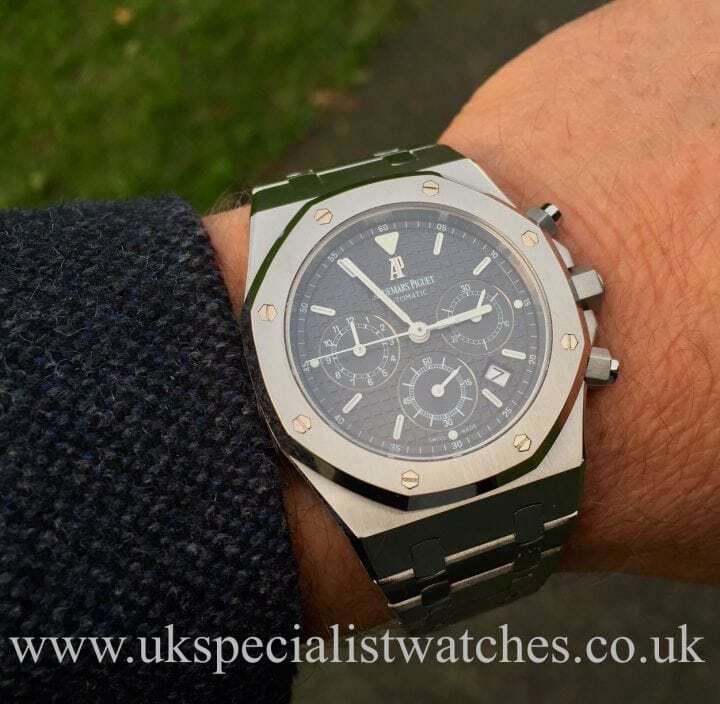 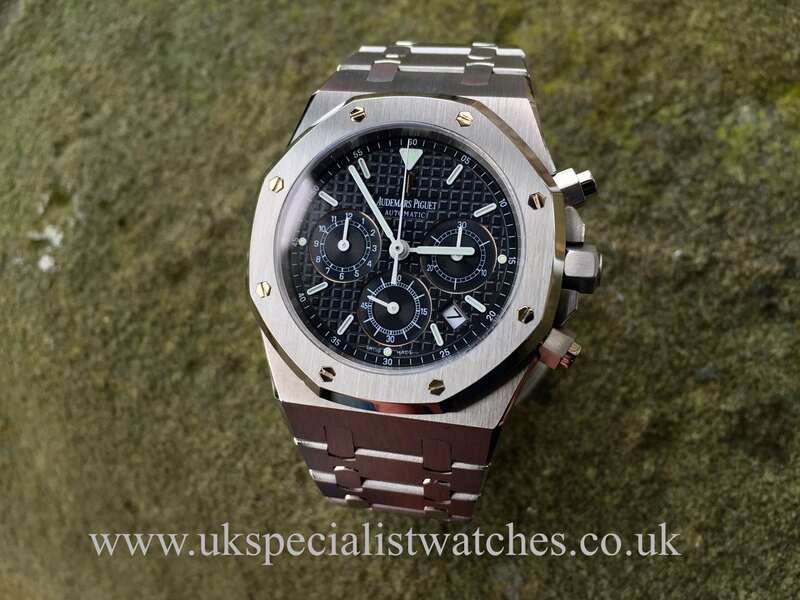 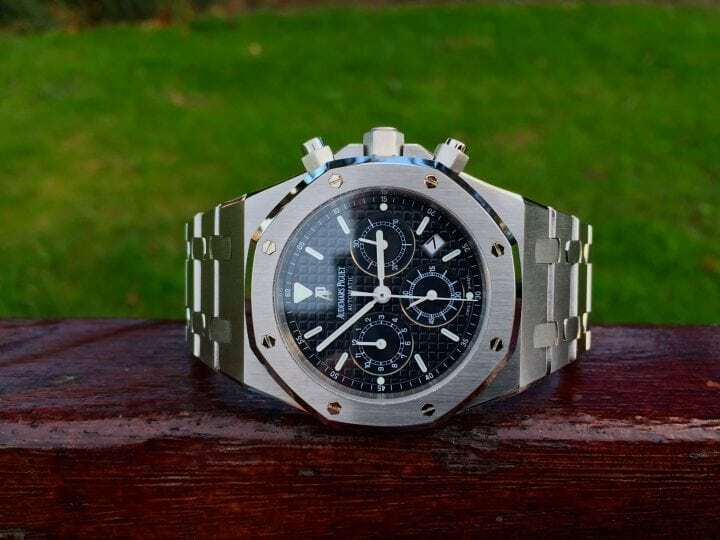 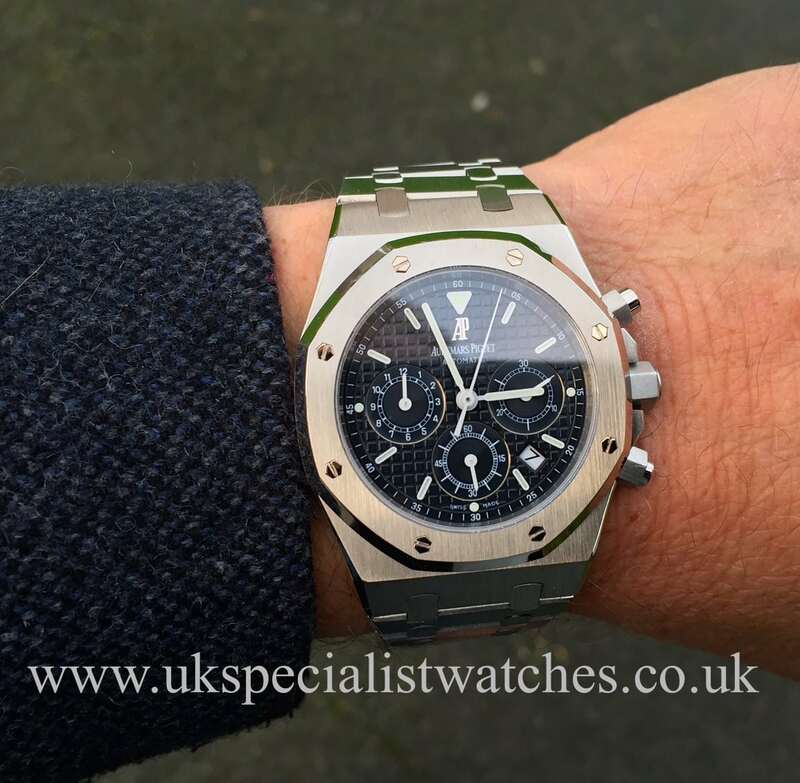 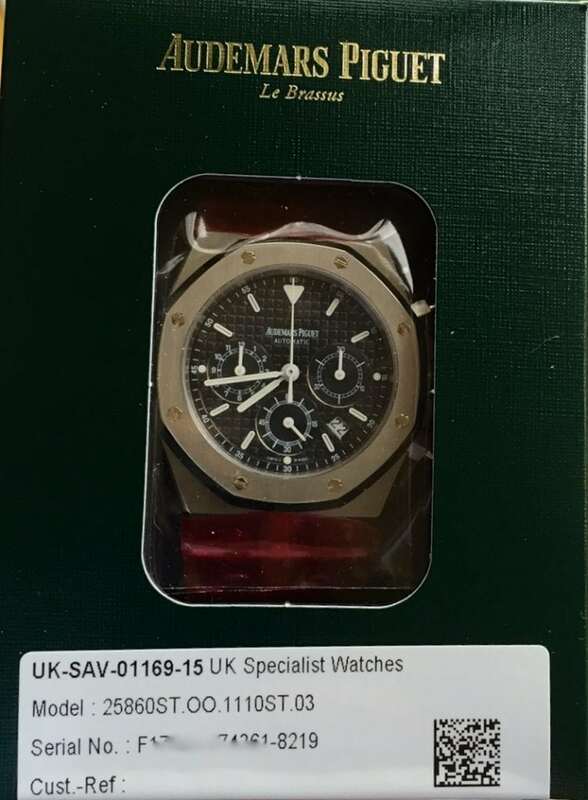 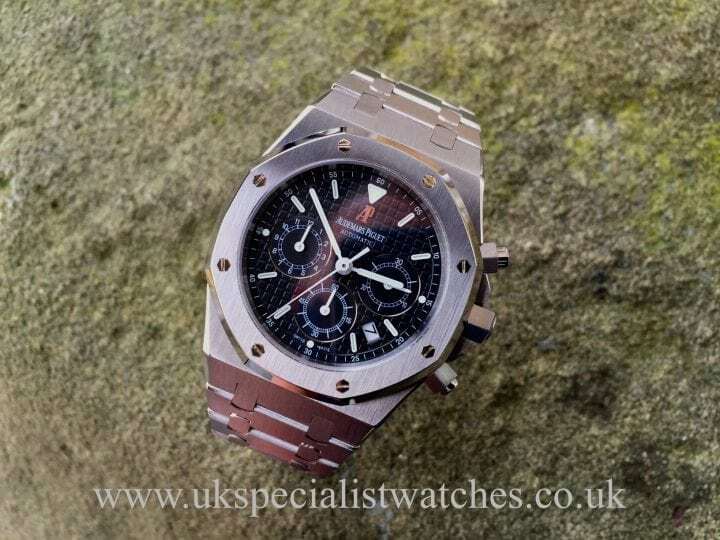 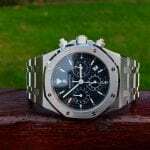 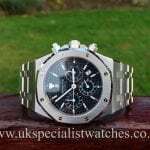 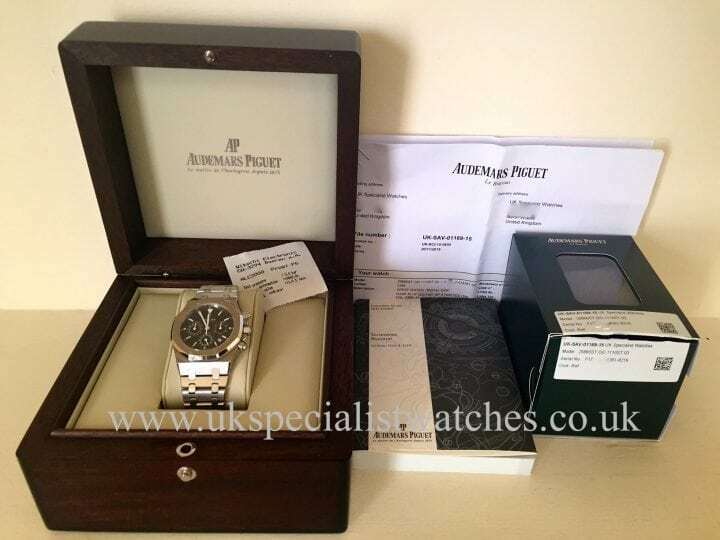 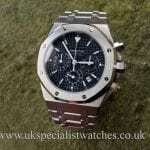 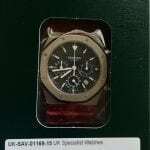 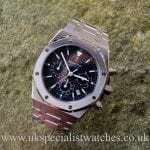 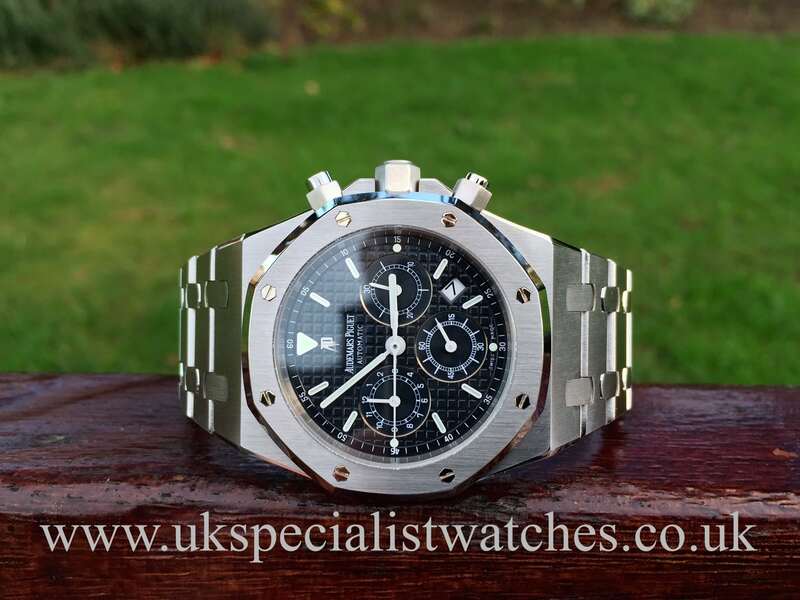 This watch has just undergone a full refurbishment at Audemars Piguet London and we purchased this watch from its one and only owner. 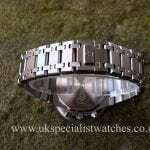 Supplied new Sept 2006.